Tanger Outlets - Gonzales is located in Louisiana, city Gonzales. 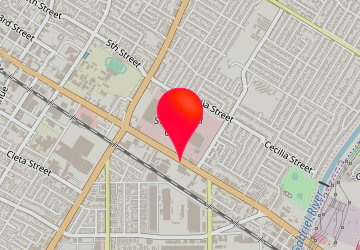 Shopping mall has over 65 stores and address is: 2410 Tanger Boulevard, Gonzales, Louisiana - LA 70737. Tanger Outlets - Gonzales info: address, gps, map, location, direction planner, store list, opening hours, phone number. January 01-December 31 : Monday - Saturday 9:00 am - 9:00 pm, Sunday 11:00 am - 6:00 pm, Extended Holiday Hours : December 16-December 23 : Monday - Saturday 9:00 am - 10:00 pm, Sunday 11:00 am - 7:00 pm.